What? Need something retro to keep your stuff? 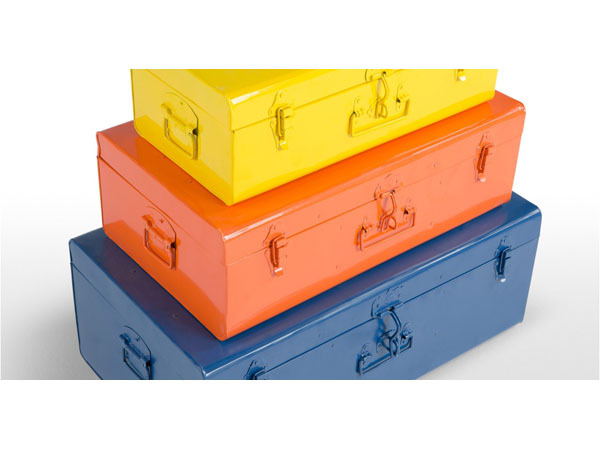 This set of three “tour storage boxes” says throwback in just the right amount – a vintage idea with a modern twist. Handcrafted from steel, these boxes are made to last. Plus, they’re practical and space saving too – the smaller cases will fit into the larger ones. Priced at £109 for the set of three.